The delightful eleven-year-old amateur sleuth is back! 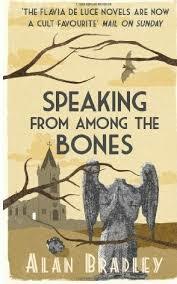 This is the fifth book in the Flavia de Luce series – my most favourite detective series of all. 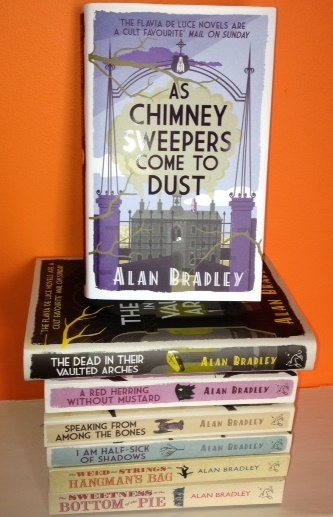 Not at all run of the mill and bursting full of hilarious characters and ghastly murders, Alan Bradley’s cult books are almost impossible to put down. In this story the tomb of St Tancred is opened to reveal the body of the popular church organist lying in a pool of blood with a gas mask covering his once handsome face. Our budding chemist and detective Flavia immediately engages her marvellous powers of deduction, not to mention eavesdropping and snooping, to lead her deep into the past, to a strange story of lost manuscripts and the precious Heart of Lucifer stone.